A chic, crafty look in vibrant shades to go with every outfit. 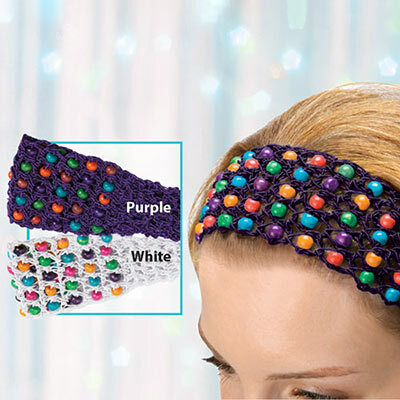 The richly textured, This Colourful Crocheted and Beaded Headband is dotted with colourful wooden beads. Stretchy, pull-on style in polyester. Imported. 2½"w. One size fits most.